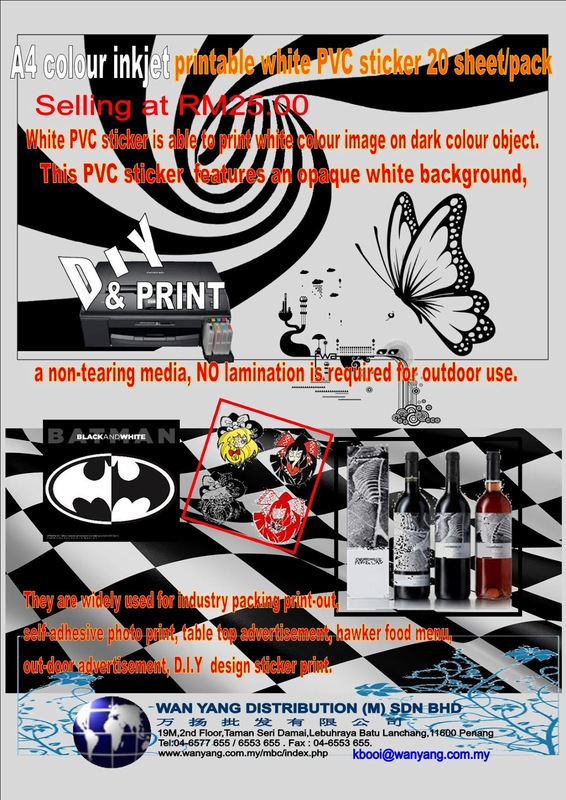 Why choose white white PVC sticker because it is able to print white colour image on dark colour object. 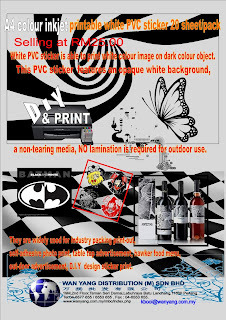 This PVC sticker features an opaque white background, essential for preventing the dark color of the substrate from showing through the semi-transparent sticker film and maximizing the color output. 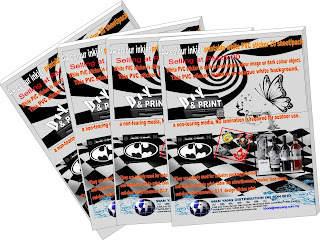 This is a non-tearing media, NO lamination is required for outdoor use. 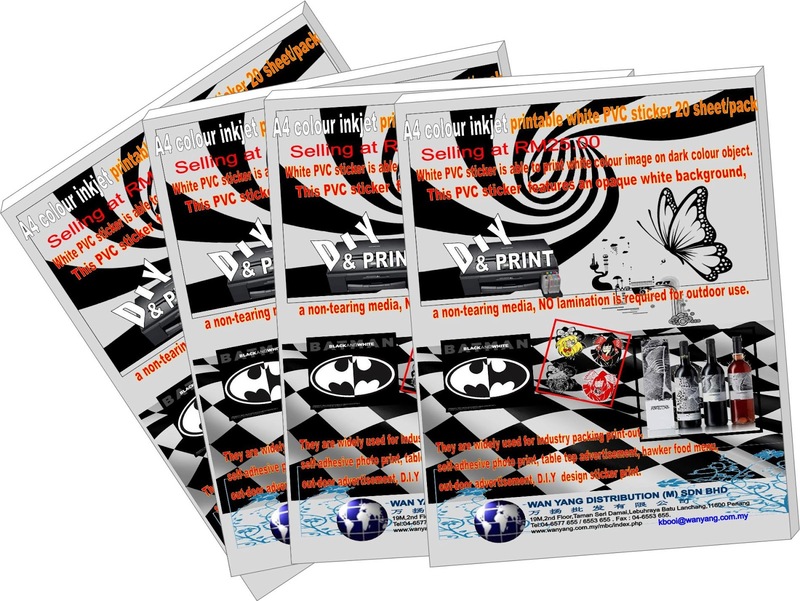 They are widely used for industry packing print-out, self-adhesive photo print, table top advertisement, hawker food menu, out-door advertisement, D.I.Y design sticker print.